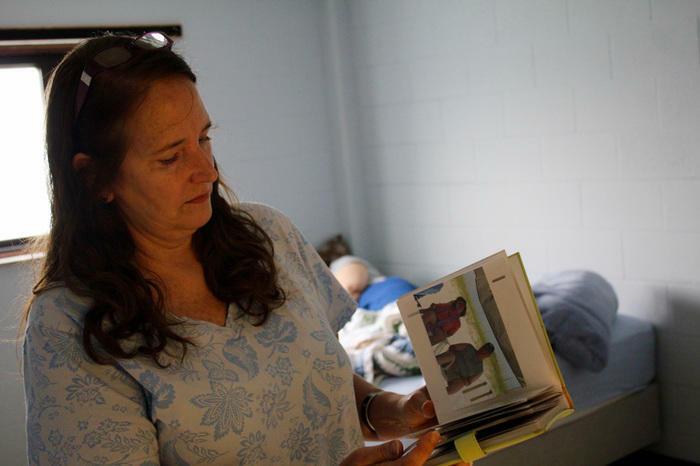 Reporters from The Topeka Capital-Journal and the KHI News Service collaborated for a six-month exploration of how the legal system in Kansas deals with people with mental illness. This is an excerpt from one story in the multipart series. But no highway brawl breaks out. Instead, the officer just talks with the man. He calms down and the officer is able to get him off the road. Then he handcuffs him. The difference between what could have happened and what did happen rests in the officer’s training, Borchers said. The officer was able to recognize the man was not actually drunk but instead had a developmental disability. The story shared by Borchers serves as just one example of countless police interactions throughout Kansas that have been shaped by training focused on situations involving people with mental illness and developmental disabilities. At a time when the mental health system is under increasing pressure, police have taken a more active role dealing with people in crisis. They must respond to all situations, no matter how difficult, but what that looks like can differ sharply among departments. In particular, police approaches to mental illness exist along an urban-rural divide within the state. Large and midsize cities in Kansas have access to greater resources, while law enforcement in small towns and rural areas must grapple with limited resources and simple geography: Vast expanses of land often separate police from mental health professionals. But police, especially in the eastern part of the state, also face acute challenges stemming from ongoing problems at the state’s psychiatric hospitals. With some individuals waiting days to be admitted to Osawatomie State Hospital, officers have grown increasingly frustrated. “If they don’t have the ability to pay, they’re going to get quicker service at the jail than they will in the community,” Borchers said. Many larger police departments in Kansas over the past few years have embraced crisis intervention team training, commonly called CIT. The aim is to equip officers to appropriately respond to situations involving people with mental illness or developmental disabilities. CIT training involves both how officers act in the moment to defuse situations and how they guide people with mental illness to appropriate services. “Not only learning the things to say, but also definitely focusing on the things not to say and do,” said Lane Mangels, a detective with the Salina Police Department. That can range from recognizing that a transient walking the highway may have a mental health problem to being aware of how a mental illness may affect someone in a standoff with police. Research suggests 10 percent of police contacts with the public involve individuals with serious mental illness. Once an officer stabilizes a situation, CIT training emphasizes attempting to channel the individual with mental health issues to community services rather than jail. In some cases, this involves getting a person on the phone who can speak with the individual and perhaps persuade them to get help. Other times, it involves deployment of a co-responder to the scene. The co-responder, often a mental health professional, may speak with the individual one-on-one and perhaps even transport that person to treatment if needed. A 2012 research paper in the journal Best Practices in Mental Health found only limited data on the number of people police are diverting toward services rather than funneling into the criminal justice system. 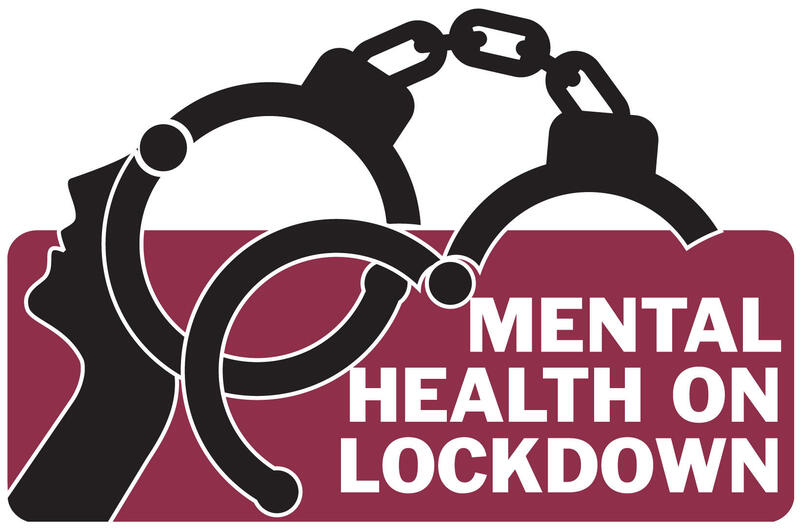 But the authors suggested that law enforcement’s role as gatekeepers to both the mental health and criminal justice systems is increasing as state budgets are slashed. 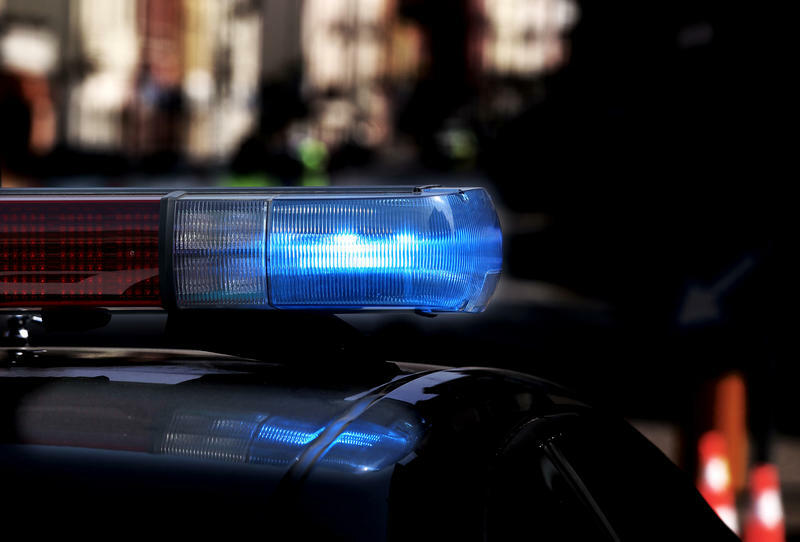 The National Alliance on Mental Illness, CIT International and other groups have developed a curriculum for CIT training that typically takes 40 hours for an officer to complete. Some of Kansas’ biggest police departments have sought training for large numbers of officers. Topeka police Capt. 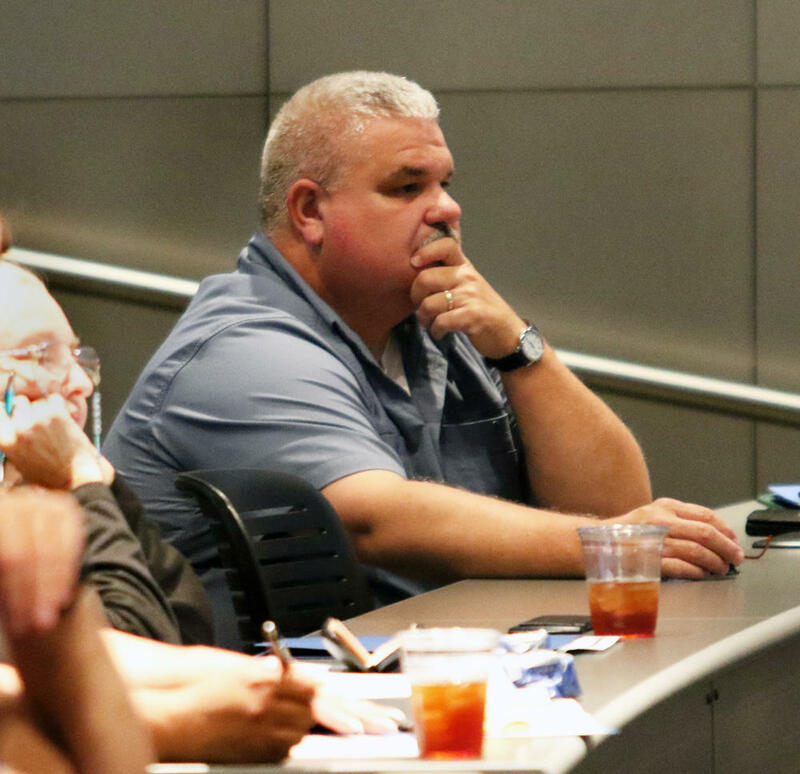 Bill Cochran watches a speaker during Kansas’ annual crisis intervention team training summit in Wichita. Cochran plays a leading role in Topeka’s police program. The Topeka Police Department has trained 149 of its 300 sworn officers, or almost half. Upward of 75 percent of officers on the street are trained, Topeka police Maj. Bill Cochran said. He said there is a good chance a CIT-trained officer will be responding to any given call, whether they’re specifically requested or not. The 40-hour training commitment can present a challenge to smaller departments, however. “It’s very difficult for a small agency to send someone out of town for a week for training like that,” said Ed Klumpp, a former Topeka police chief who now works as a lobbyist for several law enforcement associations in the state. 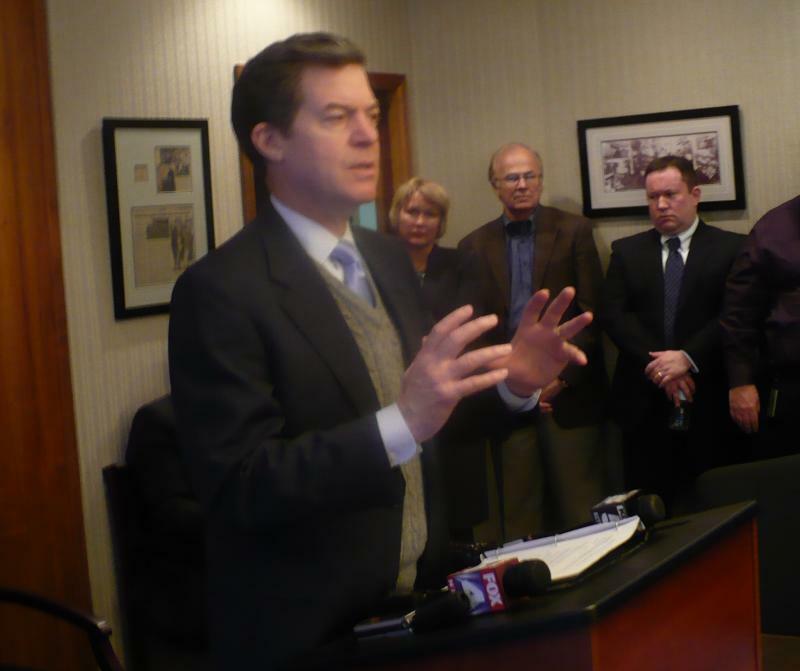 Klumpp estimates 75 percent of law enforcement agencies in Kansas have fewer than 10 officers. For some agencies, voluntarily giving up an officer for a week represents an unacceptable loss of manpower. A week of hotel and meals for one or more officers also can strain budgets. To combat that, the Topeka Police Department has developed a training regimen that takes place on nonconsecutive days. Cochran said the department has offered trainings once a month or once a week every other week to make CIT training more accessible for smaller agencies. But those small agencies often must decide whether to pursue CIT at all. A department with just a handful of officers may not see the return on investment that makes training worth it. Sgt. John Bryant of the Kansas City, Missouri., police helps lead efforts to promote CIT in Missouri, including rural areas. Bryant said some rural agencies have resisted CIT training. The key, he indicated, is to have law enforcement make the case for the training to other officers. Efforts to persuade smaller departments to adopt CIT have to be driven by law enforcement peers, he said. Even extensive officer training can be rendered ineffective by a lack of mental health resources. Renovations at Osawatomie State Hospital a year ago led to a reduction in the number of beds at the facility. The psychiatric hospital also lost its federal Medicare certification last year after security lapses, causing it to forfeit upward of $1 million a month in federal funds. Officers are well aware of the hospital’s ongoing troubles. The reduced number of beds has created a waiting list for admission to the facility. The time to be admitted fluctuates but can last days. Officers who believe an individual poses a danger to themselves or others can seek to have that person involuntarily committed to a state hospital. Given the current situation at Osawatomie, the process can prove frustrating for police. Often, because immediate admission to Osawatomie isn’t an option, police may take an individual to the emergency room while he or she is on the waiting list. That frequently drains police resources because an officer may need to watch over the person. Beyond the issues at Osawatomie, officers also perceive a reduction of resources, especially over the past decade, going toward mental health services. The combination of those factors — the situation at Osawatomie and a decline in mental health resources — changes the behavior of officers on the street. “The whole time I’ve been a police officer, the laws have been the same,” said Borchers, the Lenexa police captain. 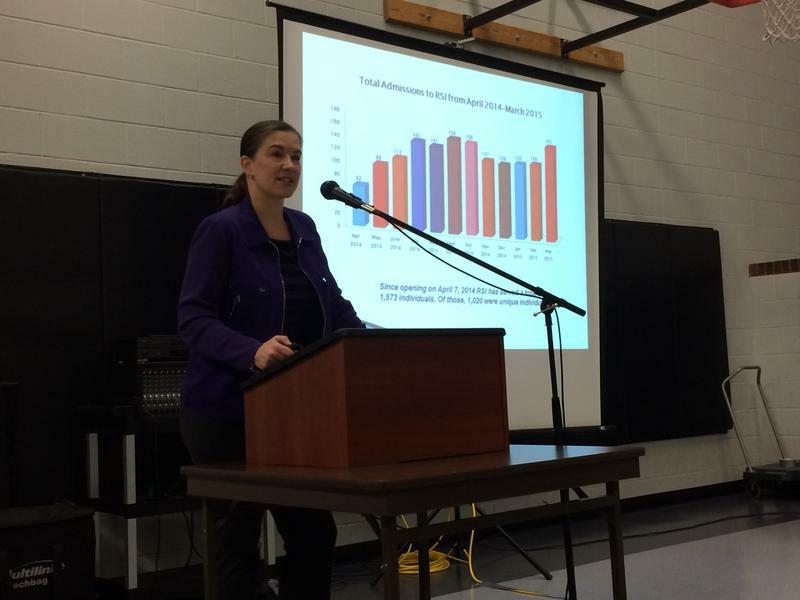 Mental health care in Kansas has essentially become a triage operation, Borchers said. The state hospitals simply try to stabilize patients and get them out so the next person can go in, he said. “The ones that get left holding the bag, really, are law enforcement,” he said. Borchers said he doesn’t blame an officer for deciding to arrest a mentally ill person for a minor infraction — perhaps disturbing the peace by cursing — because if they go to jail, they’ll see a doctor within a day. If the officer seeks an involuntary commitment, they may sit in an emergency room for days before going to Osawatomie. The scenario runs counter to the whole concept behind CIT: to identify people with mental health issues and keep them out of the criminal justice system. Editor's note: Reporters from The Topeka Capital-Journal and the KHI News Service collaborated for a six-month exploration of how the legal system in Kansas deals with people with mental illness. This is an excerpt from one story. You can access the full series here. Every day, police in the Kansas City metro area are inundated with calls to handle mental illness emergencies. Someone might be picked up for something as simple as loitering or trespassing, and even though it might clearly a mental health emergency, police typically have little choice but to take them to jail or possibly an emergency room. A Kansas City, Kan., facility meant to improve emergency mental health care was lauded by state officials, mental health service providers and law enforcement officials at a first-anniversary celebration Tuesday. Rainbow Services Inc. opened April 7, 2014, to provide stabilization services for mental health or substance abuse emergencies. The facility near the University of Kansas Medical Center previously housed the Rainbow Mental Health Facility, a former state mental hospital.